Kyle Wilcox and Eddie Ramirez join Jim Collison and me to talk about smartphones, specifically a couple of Windows phones from Verizon – the Nokia Lumia 928 and Nokia Lumia 520. We don’t go into all the features as much as hit upon some key points to compare and contrast with the Samsung Galaxy S4 which Jim and I are both using. Kyle, Best Buy Mobile guy, talks about customers and what they consider to be important to them. Everyone’s different, so it’s not a one size fits all solution as Jim keeps reminding me. Kyle has been working at Best Buy for 4+ years and he shares his knowledge, insight, and passion for phone technology. 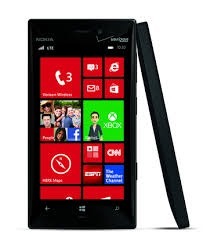 I picked up a Nokia Lumia 928 at the Microsoft store in Indianapolis, IN after the 3rd annual Home Server Show meetup. It was a sweet deal at $0 plus they threw in a $50 gift card which covered the cost of a wireless charger. But coming from the Android environment is not so easy, and after a week of really trying to adapt, I ended up returning the phone and cancelling the Verizon contract. Surprisingly, I was not able to do that at my local Verizon store here in Portland, Maine. Since I had gotten the phone from a Microsoft Store, I had to travel 2+ hours to the one nearest me in Burlington, MA. (Thank goodness I they didn’t make me fly out to Indie.) At the Microsoft store, it turned out to be quite a complicated process for them to take the phone back, but after nearly and hour and a half, the phone had officially been returned. However, voiding the Verizon 2-yr. contract took some more doing, and at one point, the mall’s Verizon store manager walked into the Microsoft store to sort it out with them. Everyone was as cool, calm and pleasant as could be the whole time, but it took just over 2 hours to get through the process. Lessons learned? Buy local, of course!